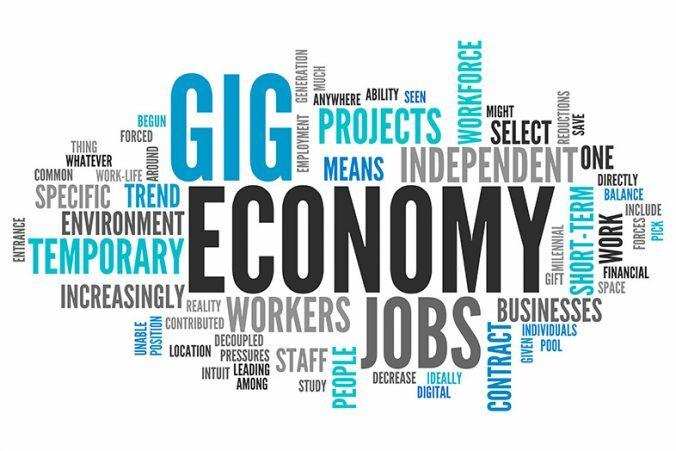 The Gig Economy is defined as a labor market characterized by the prevalence of short-term contracts or freelance work as opposed to permanent jobs. Many people are enjoying careers as ‘gig’ employees as opposed to working in a traditional 9-5 work role. In addition to the work flexibility and increased autonomy as a gig employee, many professionals have been able to replace their full-time salary as gig employees. A recent McKinsey report found that 75 percent of surveyed gig consultants were making more or the same amount of money than they did in their previous traditional roles. I hear regularly from professionals who hustle to identify new gig opportunities, even using AH Jobs List and other job boards as opportunities to find contract and project work. Employers in 2018 are more open-minded to hiring part-time, project employees and consultants instead of full-time employees. Many small to mid-size companies simply can’t justify the expense of on-boarding full-time professionals. First, despite the media hype, gig employees are not only Uber or Lyft drivers. There are a wide variety of professionals who have made substantial livings as freelance project employees. When considering joining the ranks of freelance gig professionals, you need to establish how much to charge for your service. Remember, as a freelance employee, you are responsible for taxes, potential health insurance costs, retirement savings, and day-to-day business and travel expenses as well. This may all seem daunting at first. In reality, employers who need experienced, professional assistance won’t shy away from compensating freelance professionals. In the long run, you will be saving the employer money. The next consideration is how your freelance work is structured. Many freelance professionals work on a short-term project basis, consulting or working on one-time projects. One-off projects offer high flexibility and variety, but less security than longer contracts. Others freelancers are hired on a retainer basis, with an annual contract that includes a month-to-month fee for an average, predefined number of hours. For example, as a retainer freelancer, you might agree to a contract that pays you $3000 per month for 30 hours of work per month ($100 per hour). Some months, you will only work 15 hours, and others you will work 50 hours. The benefit of this arrangement is that the employer has a committed, available freelancer and you have a guaranteed stream of revenue. I’ve known professional freelancers who have identified niche industries (real estate, automobile sales, hospitality, and others) and have established several annual retainer arrangements with different companies within these industries. One PR/marketing freelancer balances 9 different retainer contracts at $3000 per month each. They subcontract some work (web, graphic design, brochure development) to other freelancers when needed. As you can see, this type of work can be extremely lucrative. Being a freelance employee requires a great amount of salesmanship, networking, and patience; establishing yourself doesn’t happen overnight. In future articles, I’ll discuss the ‘gig hustle’ and ways to keep a pipeline of new gigs flowing your way as well as how to market yourself as a freelance contractor and create a business development plan for yourself.